Integrity. Is It Aligned with Your Success? Let’s start by asking ourselves some key questions about integrity. Why is integrity important? 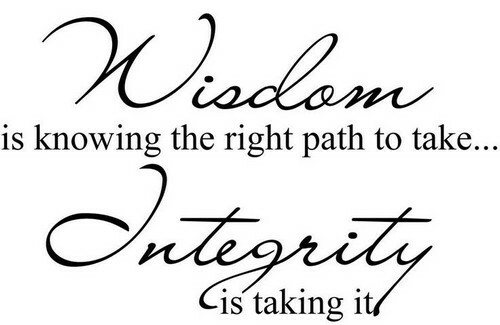 Why is it important for us to have integrity in our personal and professional lives? When we have integrity, what does it make possible in our lives and the lives of others? Integrity in our model is honoring your word… The personal and organizational benefits of honoring one’s word are huge — both for individuals and for organizations — and generally unappreciated. The state of being whole and undivided; complete. 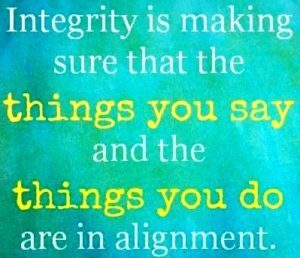 By this definition, integrity is important for one very practical reason — it creates the conditions in our personal and professional lives and relationships that allow for everything to WORK. In any situation, people want to know where they stand and what kind of response they can depend on. Integrity is the foundation by which consistency and trust supports us to work effectively, both on our own and with others, to create the results we want. This holds true just as much for our personal goals and intimate relationships as it does for our leadership and professional successes. 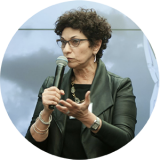 A focus on integrity is central to my work mentoring entrepreneurs to step into a higher level of success and prosperity. We look at integrity through the lens of alignment. If someone says that their mission, purpose and goals are one thing, the rest of their life and business must be in alignment with that as well. This is the equivalent of, ‘walking your talk.’ Without alignment, there isn’t integrity, and without integrity, a person’s vision for success and prosperity simply won’t work. Historically, the notion that a person’s “word is their bond” has held true throughout the ages, starting with the Bible. Keeping your word was the basic measure of who you were, as a person. Unfortunately, it’s much less common to find people who value consistently keeping their word and their commitments. And, if you can’t keep your word, then as soon as you know that you will not, you say that you will not be keeping your word to those who were counting on your word and clean up any mess you may have caused by not keeping your word. Are you keeping your word? Are you honoring your word? Are you effectively managing your commitments to self and others? Are you always willing to look at what could allow a situation to be more workable? If a situation is not working, are you looking first at where you may be out of integrity or out of alignment with your standards and ideals? How can you bring your integrity to increase performance in all the areas in which you’re working? As you can see, your integrity reflects who you are as a human being. It’s your deeper alignment with who you say you are and what you say you want. When you’re living in alignment and integrity, it allows for greater power, expansion with ease, and more effortless attainment of goals… not to mention more happiness and joy! The easiest and most direct way to build your integrity (and your awareness of integrity) is to focus on living in alignment with your word. 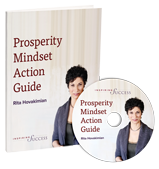 If you do this one thing in your business and your life where there are any issues, problems or confusion, you will see incredible shifts and momentum toward the outcomes you are wanting to create! ← What did Miles Davis hear?